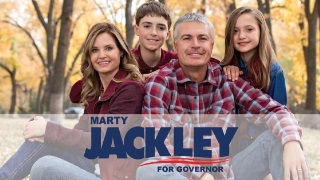 Marty Jackley has served as our Attorney General for the past 8 years and also served as the United States Attorney for South Dakota. Marty is now running for Governor in the Republican primary that will be held next June. Marty is married to Angela and they have two children- Michael, age 13 and Isabella, age 11. Marty is a tested leader with executive branch experience and he has a vision to make South Dakota even better!